Though I’ve been reading comics since the 70s, the early 90s is when I started buying a lot more of those. Though those were the years of Doom Patrol, Sandman and other landmark series, we also got treated to material such as much of the Image launch, which was, err, different from the two series mentioned above. Still, I have a poorly-justified nostalgia about this stuff, and decided to write a few characters up. While the books were usually terrible, the characters have a simple, obvious quality to them – they’re largely clichés, which means they can be useful and easy to use in many campaigns. The various Image books started in the same, generic universe before splintering off due to creative differences and office politics. Thus, early events in the Awesome/Extreme universe involve characters, organisations, etc. which later become part of the Wildstorm Universe, of the Larsenverse, etc. (in fact they did so as much as possible as a simple form of cross-promotion). Real Name: Boone (first name unrevealed). Base Of Operations: Brigade HQ in the Caribbean Islands. Height: 5’8” Weight: 190 lbs. Eyes: Brown Hair: Sometimes light brown, sometimes dark blond, sometimes reddish-brown. Let’s say… light brown. Boone is a talented mercenary, infiltration specialist, hand-to-hand combatant and gunman. 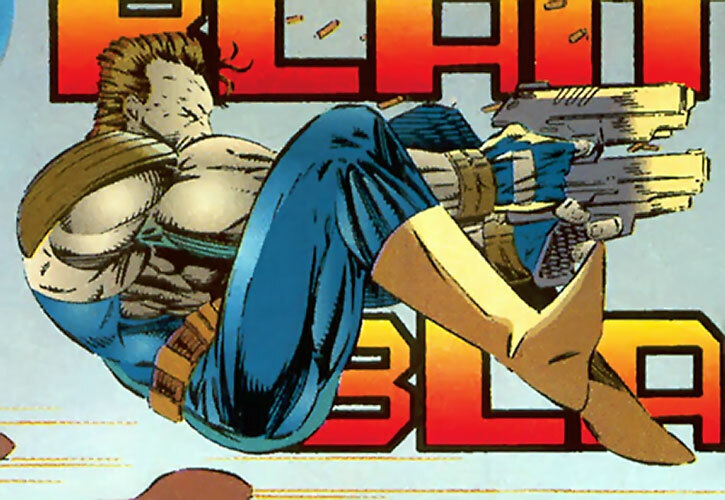 He favours an acrobatic, undisciplined approach to combat, including gunfights. Though he’s sometimes dual-wielding handguns he seems to be just as efficient wielding just one gun. One of his recurrent tactics is to position himself with some kind of flip or other acrobatic manoeuvre. He’ll then burn a few Hero Points to open fire after his little stunt, because he can. He’s in excellent physical shape, and could withstand multiple superhuman blows without permanent damage. 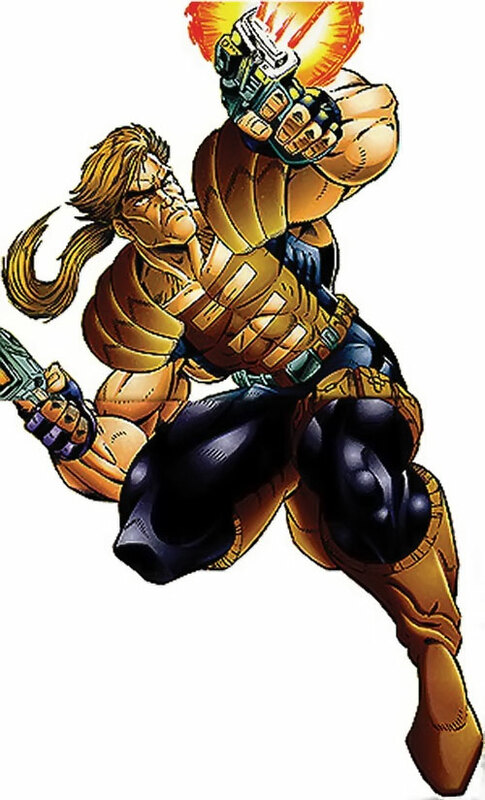 Boone was recruited by Battlestone after the latter was dismissed from the Youngblood project. 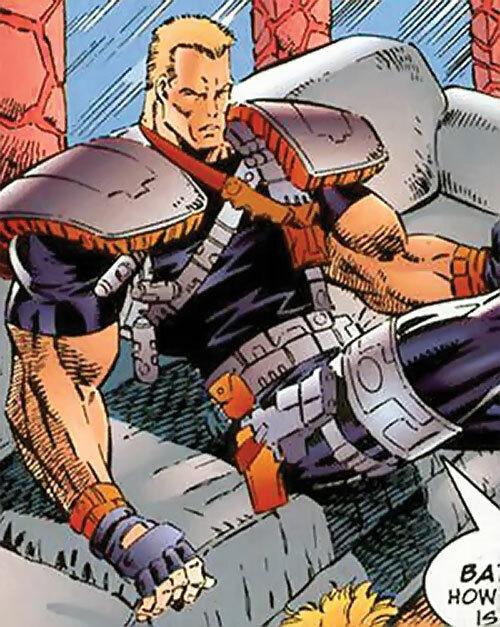 Along with two other recruits, Kayo and Lethal, he accompanied Battlestone on a number of high-priced mercenary missions. One key contract was the murder of major Japanese criminal Mr. Soroyama. Battlestone used this job as publicity, since he was tired of covert ops preventing them from developing a reputation. But one mission (contracted out by Jacob Marlowe) went south. The foursome failed to steal a gem after running into with Youngblood operatives. Said “gem” was later revealed to be a Kherubim orb of power. Angry over this failure, Battlestone curtly told the team members to leave, and ceased operations. Kayo stuck with him despite that. Several months later they created Brigade, a costumed team with a number of superhuman operatives. 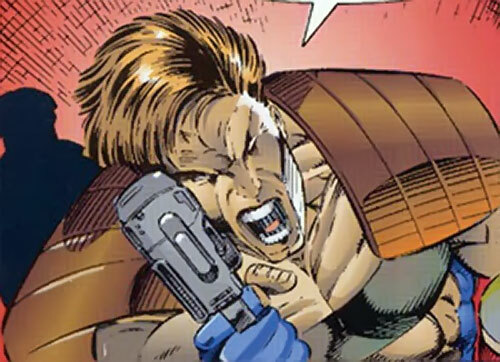 It was not unlike Youngblood, but operated according to Battlestone’s militant view of the business. 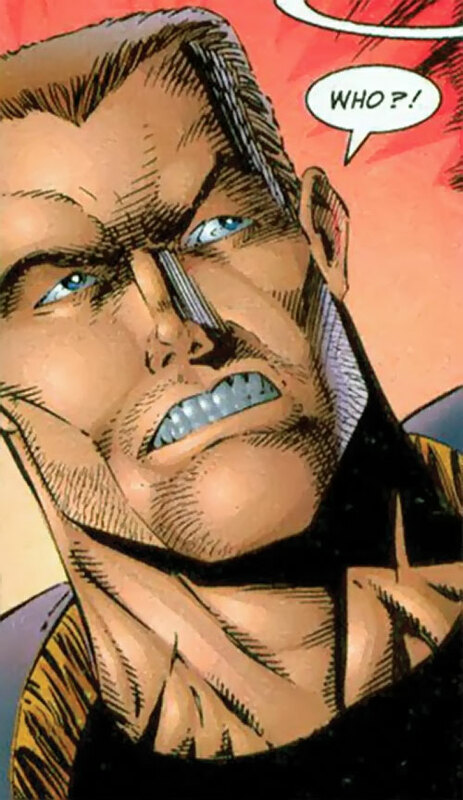 However, Battlestone’s team took casualties. He had to recruit new members ASAP and turned toward ex-members of his old mercenary unit. By that point, Boone had been working on his own for a while, either solo or paired up with the mercenary Hacker. Battlestone rescued Hacker when Boone’s latest contract started turning sour. Then he made Boone an offer. Boone eventually accepted. Though he had his differences with Battlestone, he could not in good conscience let him down. Lethal also returned. 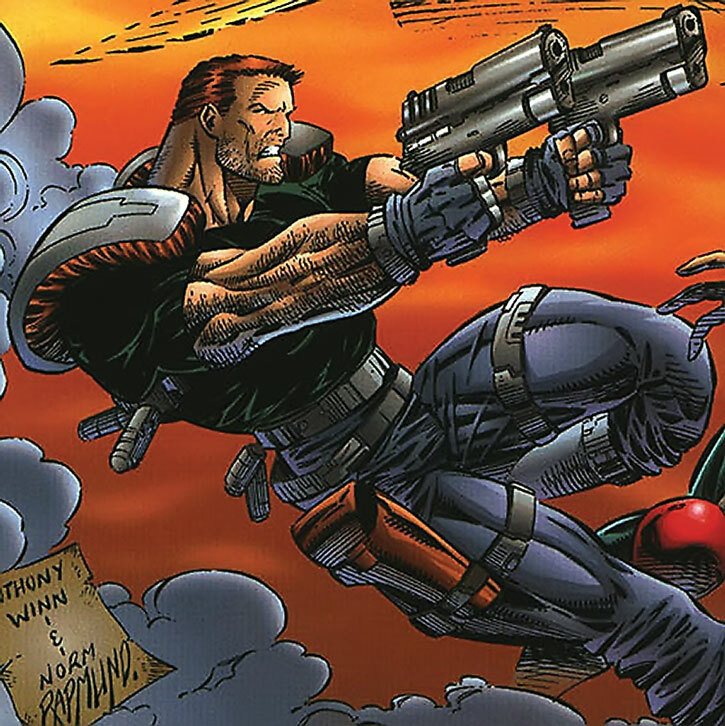 Both were invaluable in stiffening the team against an attack by another team of super-killers, Bloodstrike. However, Lethal and Kayo decided to quit soon after that. Boone had reservations since he resented losing his freedom as a freelance operative, but stuck with Battlestone for the paycheque. Brigade clashed with the Soroyama family. It was now headed by the son of the man Boone and the others had killed years before. Soroyama operatives had kidnapped Kayo whilst he was working in Japan. During that mission, Boone abandoned his comrades and tried to capture a Kherubim orb of power by himself. However, circumstances made his attempted treachery look like a daring initiative. Still, Boone was increasingly doubting that future of Brigade. He was looking for a lucrative way out of the team. At that point, Boone’s frequent associate Hacker had just been kidnapped. His captors were men working for Craven, the director of the sinister American intelligence agency I.O. (International Operations). Craven was determined to bring Brigade down, and forced Hacker to plot against the team. Either Hacker contacted and convinced Boone to help him, or Craven found some leverage to also force Boone to serve I.O.. In any case, some time after Hacker’s kidnapping, Boone became an IO mole within Brigade. At that point, Boone realised that team member Thermal was writing an expose on Brigade and its history. When Thermal decided not to send her draft to a publisher, Boone confronted her, knocked her out and took the file. Boone arranged for exfiltration with his accomplice Hacker. But his attempt to flee via a Santa Monica beach (during which he shot several bystanders standing haplessly in his way) did no work out. Battlestone collared him and beat him up. Using a special explosive, Boone made it look like he blew himself up along with Battlestone. But he actually escaped alive. Furthermore, he was carrying both the unconscious Battlestone and the disc with Thermal’s file. In the aftermath of this, most Brigade members were killed in an unrelated case. Meanwhile, Battlestone was brainwashed and reconditioned. Boone was never seen again, though there is a high likelihood he became an agent for I.O., likely along with Hacker. 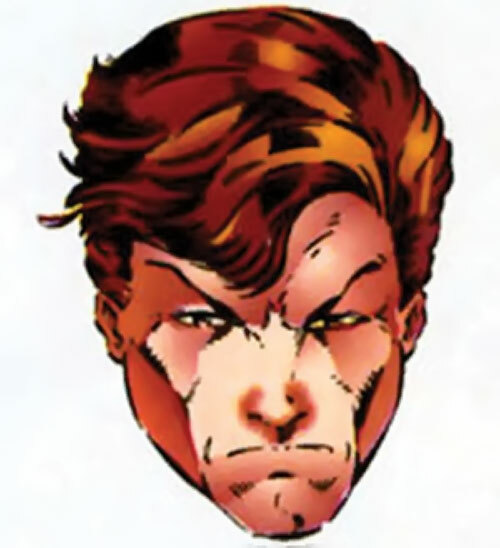 Interestingly, given how the Image proto-universe sundered, that may mean he came to operate in the Wildstorm universe. A hotheaded, flippant, gunslinging American action hero with a cocky streak. He also mediocre one-liners, especially when he blows Hero Points to pull off a flashy and successful manoeuvre. As with most Image heroes back then, he never hesitates to kill. He’s a “shooting pool, drinking beer and scoping chicks” sort of guy. While he can be loyal to his old friends (it is *possible* he betrayed Brigade to save Hacker), there is always some hint of reluctance in acting on it. He generally looks out for number one. Frex, he once abandoned the rest of the team to a difficult fight in order to concentrate on the mission’s objective… and hog the glory. His pursuit of his own interest proved to be more potent than both his reluctance at associating with Battlestone again (while he had been curtly and almost insultingly dismissed last time, the paycheque was good) and any loyalty toward his comrades-in-arms within Brigade. He can be dropped into any campaign without problems. 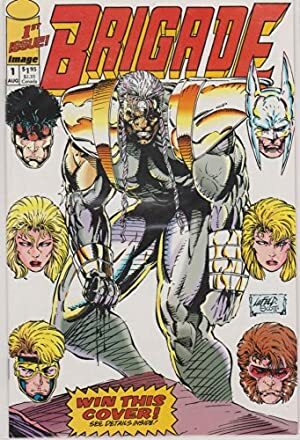 Battlestone should probably be linked with the Titans somehow – perhaps he used to be the Ravager (Deathstroke the Terminator’s son), who was killed in action but resurrected by a shadowy government initiative. The creation of the superhuman Brigade might thus be an attempt to create an anti-team opposing the Titans and proving that they are better and more powerful than them as Battlestone attempts to demonstrate that his ideas about how the Titans should be run are superior to Nightwing’s. Hacker (Low), Mercenary scene (Low), Brigade (Low). Tactical Radio Headset [BODY 02, Radio communication: 05]. High-Tech Handgun (x2) [BODY 04, Projectile weapon: 05, Ammo: 20, R#02, Note: These pistols are thoroughly waterproofed and can be shot underwater without any problem]. Shaped Diversion Charge [BODY 02, EV 12, Fog: 05, Bonus: EV and Fog are Combined, Drabawk: Grenade Drawback]. This grenade creates the appearance of a huge explosion, but the effective blast radius is actually fairly small, since the charge is shaped and much of the detonation is directed straight up and straight down. This is a fairly good mean of covering up an escape. BRACERS [BODY 06, EV 03 (05 w/STR, 06 w/Martial Artist), Insta-change]. These bracers look like normal Liefeldesque costume bracers (with pouches ! ), but also conceal a retractile, curved blade. Boone uses those as a surprise weapon when he’s overwhelmed in close combat. Boone was carrying other, unspecified pieces of gear, which I assume included spare clips and small grenades.